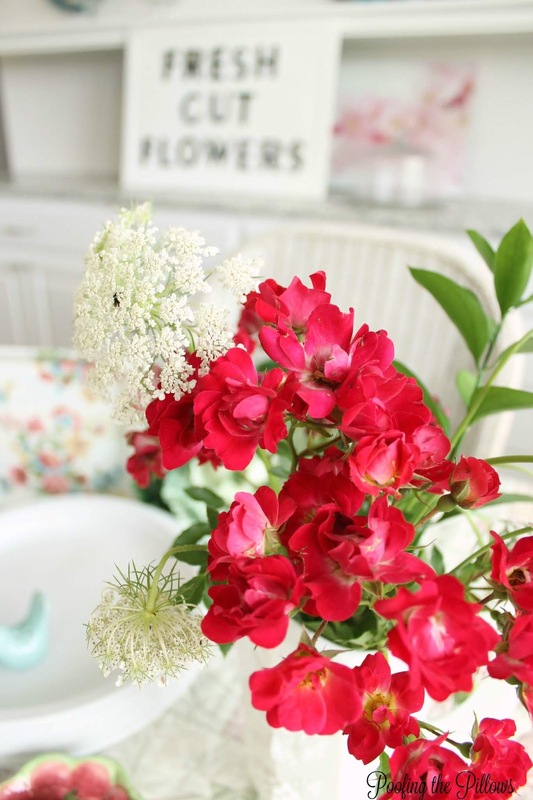 Good morning girls and welcome to the Tea and Roses Blog Hop! There was a quick change in the schedule so I'm here a day early. This blog hop was organized by Amber of Follow the Yellow Brick Home. When Amber invited me to participate, my first thought was that we don't really drink tea. But wait ... we do! This is Texas and we drink iced tea at our house year-round. We don't have tea parties here but we do have company quite often so this is my twist on the Tea and Roses Blog Hop. I really welcomed the chance to talk about summertime hospitality today while we sip iced tea. There's just something about summer that makes me want to throw open the doors and have people over! Do you feel the same way? Summertime is easy and slow. Not really but it feels that way, right? Summertime is more carefree and loose. Kids don't have school and adults remember that feeling even if it was long ago. Summertime hospitality is and should be simple. There are a few things to have on hand that will make it easy to say, "Hey y'all come over!" Start with heavy duty paper plates - I buy them in huge packages at Costco. 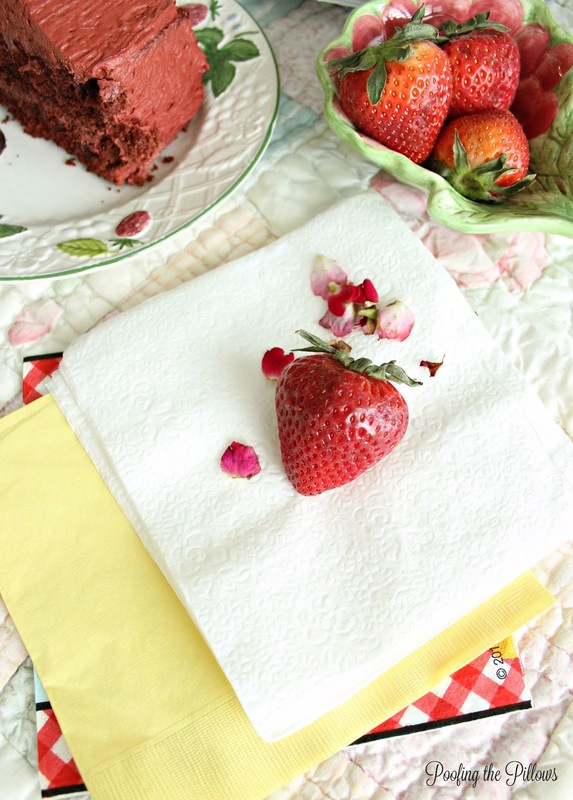 For color, add some cute napkins to fit the occasion. I collect paper napkins inexpensively and from various places. You'd be surprised what they have at Dollar Tree. I was once invited to a friend's home for dinner and she had cut napkins from pretty fabric using pinking shears. No sewing involved and they were perfect! You can serve iced tea and ice water in plastic cups or if you really want to have fun serve your drinks in jars. You don't have to go out and buy jars - just recycle a few. These are leftover from a baby shower I hosted a few years ago. In the summer, if you were to "come over for lunch or supper" at our house we might have sandwiches, or burgers and hot dogs, or something my hubby has smoked outside. He's the meat guy and I'm the sides girl. Don't you just love something crunchy or cold with your hamburger? One of our favorite sides is a spaghetti salad my sister-in-law makes; I'll share that recipe soon. Just be sure to have a few simple recipes that are go-to's. Let me say this - if preparing food is what stops you from inviting friends over then, by all means, put out the sandwich fixings and open a bag of chips. Don't forget something to make your table pretty. Run out in the yard and cut flowers if you have them. Go snip some of that Queen Anne's Lace that is growing in the field down the road. Our flower beds are too new to have anything to cut so today I'm using roses that my sweet friend Jemma allowed me to cut from her gorgeous gardens. One more thing, turn on some good music. Today I'm choosing a little Earth, Wind & Fire on Pandora. Let's restate this simple formula: Paper plates and napkins, drinks in jars, sandwiches or burgers, something crunchy or cold on the side, and dessert. Add a few special extras with fresh cut flowers and music and you're set! There are several reasons to say, "Y'all come over!" coming up soon. Memorial Day, July 4th, and Labor Day are just a few. In our family we have a college graduation and some pretty significant birthdays coming up. These are all wonderful reasons to celebrate and invite people over. I hope you will. Delightful, Stacey! I want to come right over. I must go scouting for some queen annes lace. I love it but haven't seen any our way. I would love to come to supper at your house! Sounds perfect to me sweet friend! I love summer livin and lovin! lol! I love having friends over and hubby is our meat guy as well. I have had that spaghetti salad and it is yummy! I buy darling napkins at thrift shops all the time. I only buy ones that are unopened. I think people buy them for parties and don't use them. Yes, I'll gladly take them off your hands! :) Meeting Jemma for breakfast today. Can't wait! Hope to meet up with you some day as well. Oh my goodness this is perfect summer hospitality! I agree about breaking out the sandwiches and chips - make it easy upon occasion. After all, the idea is to get together and enjoy each other. I know we need to do this more. And those salt and pepper shaker birds... I'm in love! You must be the Queen of southern hospitality for sure. I am headed your way right now. The chocolate is calling me. I love this post. Reminder that is the simple things that are needed to have friends over. Thank you for sharing your lovely setting for ice tea and roses. Southern hospitality abides in your home and in your heart, such a lovely sentiment. 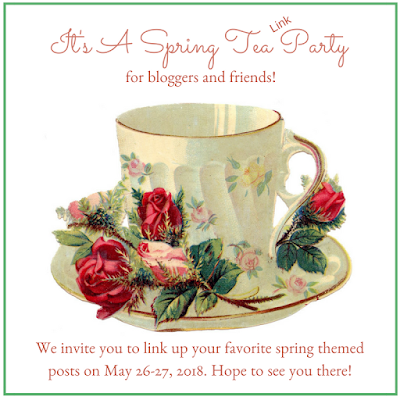 It's a pleasure to be part of the tea and roses blog hop with you Hugs! What a perfect summer tea party Stacey! The chocolate cake has my mouth watering. I've borrowed one of your pretty images to use on social media. Have a beautiful day! Stacey, your summer tea party is gorgeous! I love the bottles you used for your iced tea! And that cake looks delicious! So happy to be part of the tea and roses blog hop with you! I'm swooning over the photos in this post, Stacey! 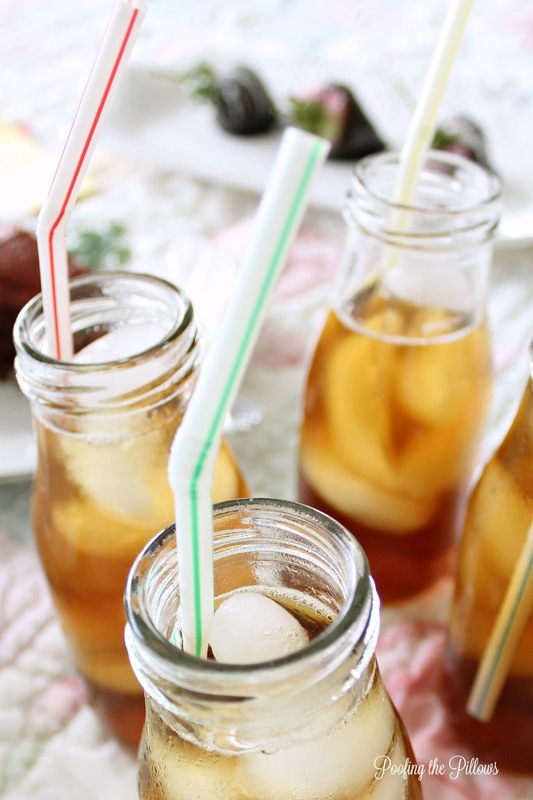 Love the jars you used for your iced tea! And a big yes to Earth, Wind, and Fire for background music . Today is going to be a gardening day and after reading this there is going to be fresh fruit and Tea too. Thanks so much for the inspiration! Everything looks just beautiful and delicious. I went the iced tea route, too, Stacey!I love your idea of summer easy, yet it can all still be pretty, too! First time to your blog; it's lovely! I drink mostly iced tea. A few times in winter, I do enjoy a nice cup of hot tea, usually flavored. The chocolate looks heavenly. Easy peasy works as well. Love the simplicity of your ideas Stacey. It's about the company. Stacey, it is all about hospitality! I love your simple and straight-forward ideas that anyone can incorporate to have a summer party! I learned from my mother, it is all about how you make people feel, not what you serve them! 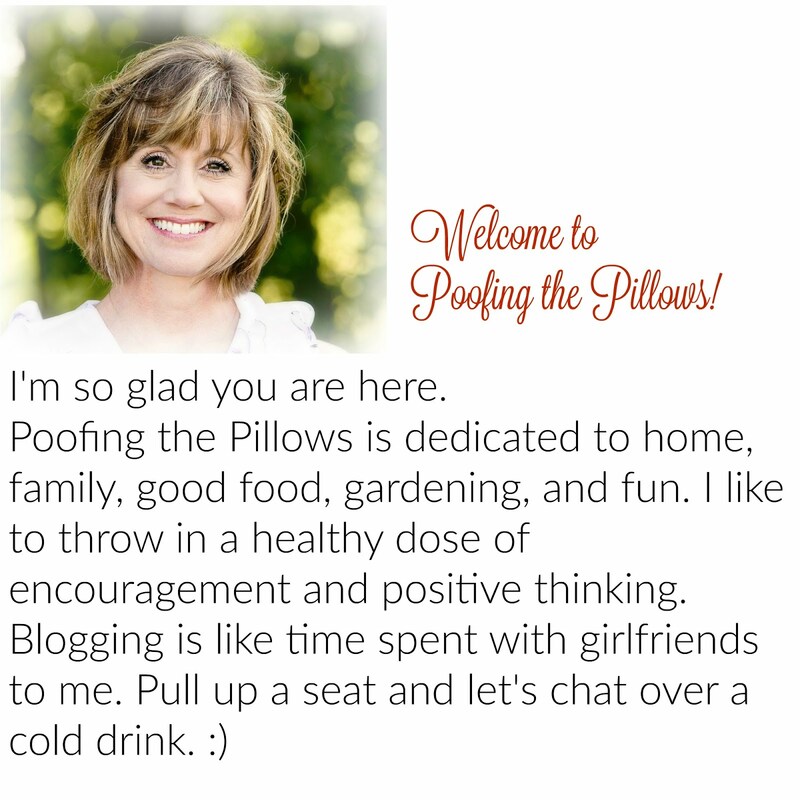 It is a pleasure to blog hop with you sweet friend! I have to say that chocolate cake has my mouth watering, Stacey! I am long overdue a dinner party at my house, thank you for the reminder! Can you please tell us where you bought the sweet les fleury dish? It’s awesome! Love all of your easy ideas and it doesn't get much better than a grilled hamburger with chips and dip. MMMMM. 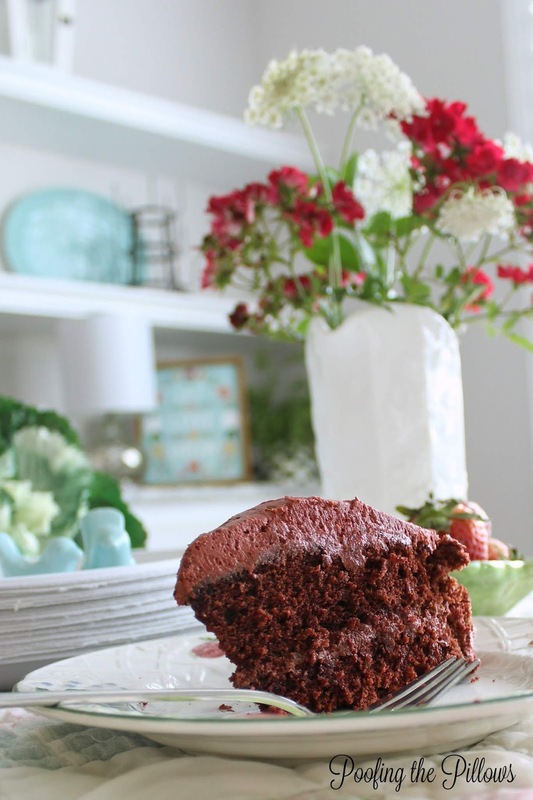 Oh gosh that chocolate cake looks so wonderful! Just met Jann for a delicious breakfast and that girl is just as wonderful as her blog! Everything is super pretty Stacey, you have the Southern touch! That is my kind of entertaining! Easy, simple and perfect for summer. I have that tiny set of bird s&p shakers and I love them. Lovely ideas Stacey, I love to keep it simple! When I began reading the other posts in the hop, I felt a little intimidated. I don't drink hot tea and I don't have a tea party in my post. But leave it to you to make me feel more comfortable. Your good old Texas hospitality made me remember that there are 11 of us in the hop and we're all different. Yes, just delightful and it's more about getting together than making it all "fussy" and stressful. Love this! Stacey, this is delightful. I'm a life long Texan who drinks hot tea and iced tea. Thank for the little party. I'm off to have tea with the others. Stacey, I forgot to tell you how I would spend the Amazon gift. Most likely I'd add to my library. I love pretty books on decor. Thanks! This is so pretty. 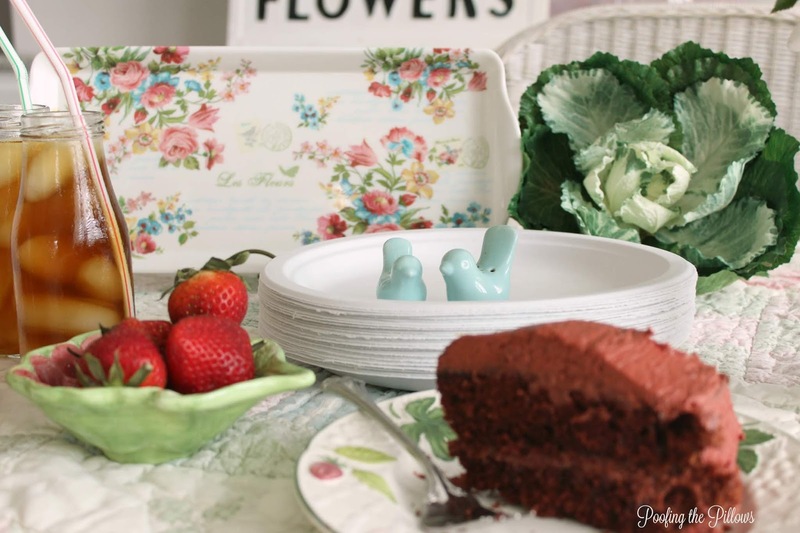 I love your sweet flowered tray and I couldn't agree more about Dollar Tree having some cute things. I get papers there too -- regular ones, not the heavy duty which are great for BBQs. Looking forward to loads of outdoor cooking and I'm the sides girl, too. It's supposed to be a rainy weekend here, but I'm keeping my fingers crossed! Your Summer party looks so nice! How I'd love to slurp, err, sip that iced tea right now! I enjoyed "having tea" with you and hopping with you for this party! Stacy I just love this post! You have done such an amazing job painting a picture of what summer should be, and now I am really in the mood for those carefree days and cookouts. Your Texas take on tea and roses really added a fun spin to our hop, and I am grateful you joined the hop. Enjoy all the fun days of summer ahead my friend! Love your attitude! You are right on track with the way you have chosen to entertain. While its nice if you have lovely china and beautiful silver, its not as important as being a gracious hostess and enjoying your friends and family when they come to visit. 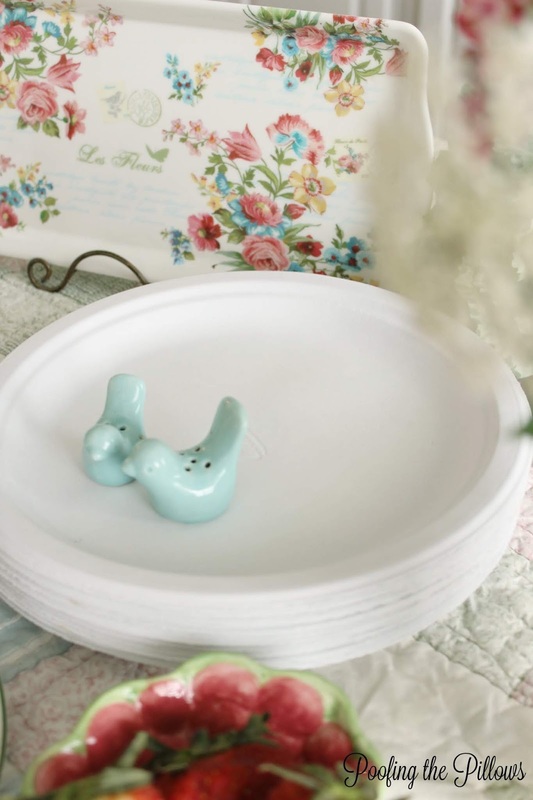 A humble snack enjoyed on a paper plate is just as wonderful and memorable as a feast served on china when its shared with good company and with a sharing heart. The memories are the important keepsake we all get to take home after the party! Thank you so much for making me want to call a friend and share some tea over a cuppa. Cheers! This is just such a lovely post, Stacey. I peeked back at it so many times, the pictures were just too pretty to look at once. And I love your choice of music! I love your casual, easy going style of entertaining, Stacey. That is something that we all should remember to do. I'm like you and love pretty paper napkins, and ice tea is perfect for our Texas summers. 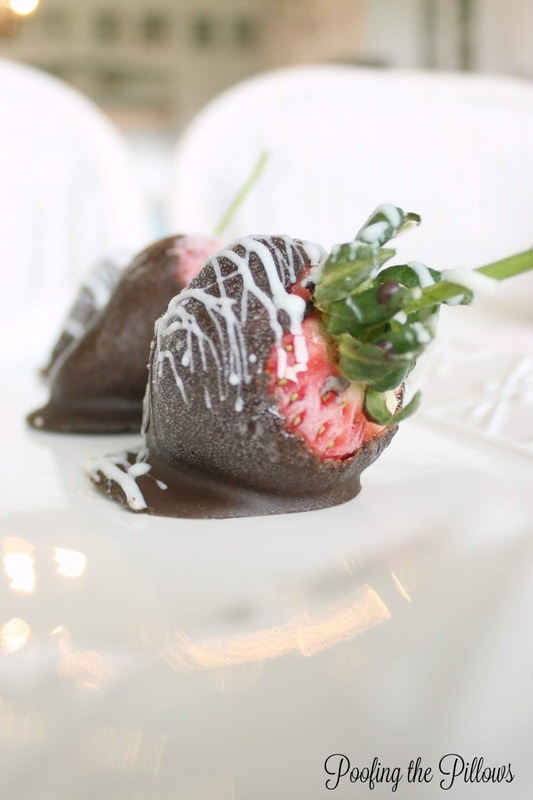 The chocolate cake and strawberries look scrumdillyumptious. 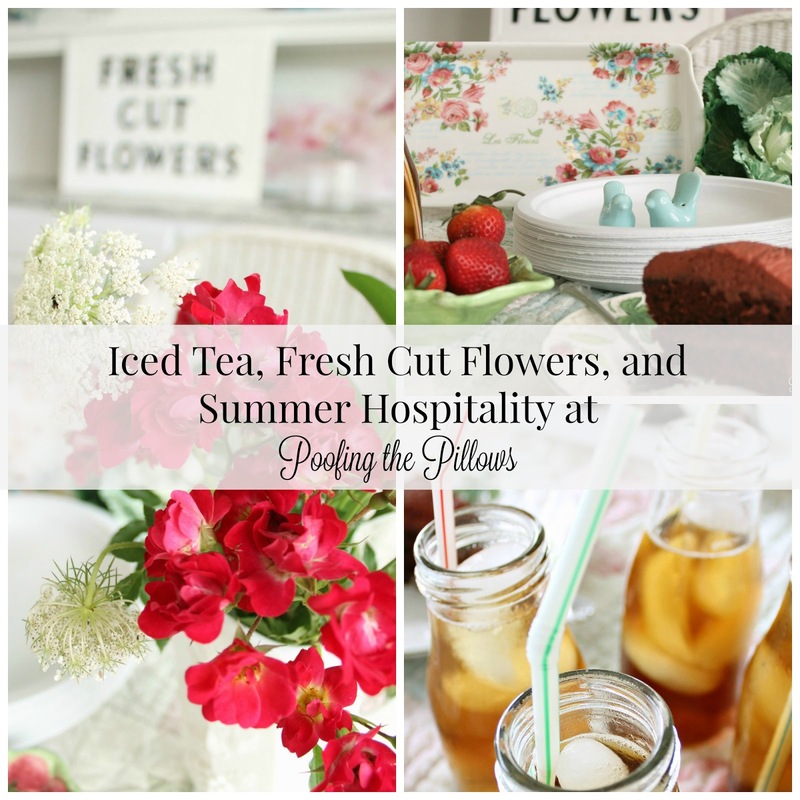 Loved your non-traditional take on a tea party showcasing easy laid back Summer Hospitality!! So charming!! 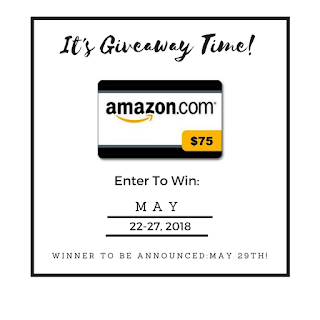 Thanks so much for participating in this lovely blog hop ad I am really looking forward to the link party!!! I do enjoy your blog immensely. I was gobsmacked when I saw paper plates..Just never imagined you using 'paper plates'. Just my opinion, however, everything else was lovely. Now, that's sweet! And right up my alley, girlfriend. You have all the makings of a perfect tea party right there. Have a great Memorial weekend. 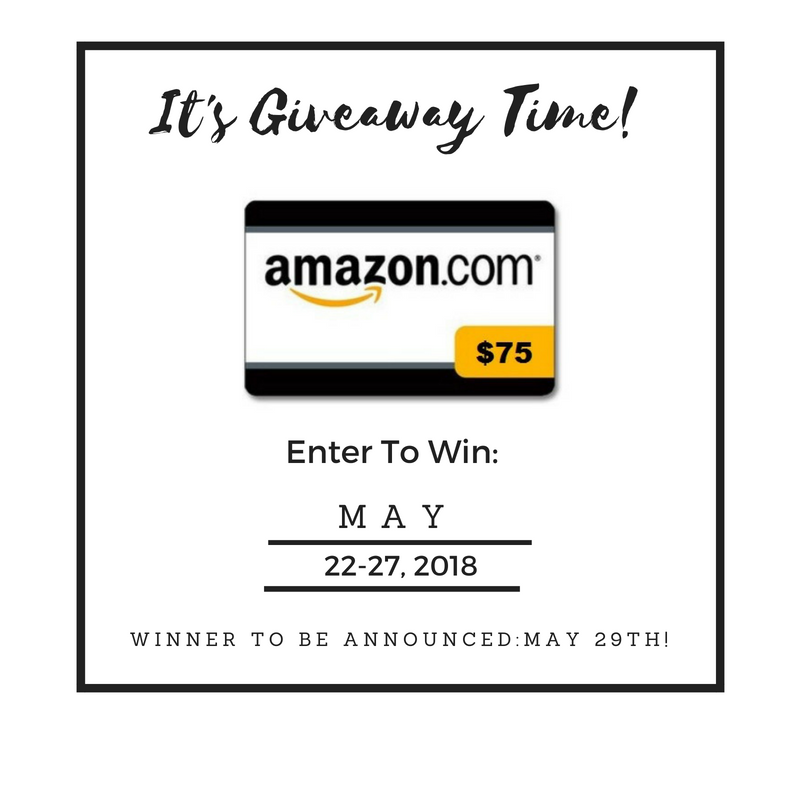 Stacey, thanks for linking up with our Link-Up. You're my kind of girl with the ice tea. The cake and strawberries look amazing! Love the theme of the blog hop. Having grown up in Texas, you are right...I was never invited to a tea party but iced tea was always served at a get together.